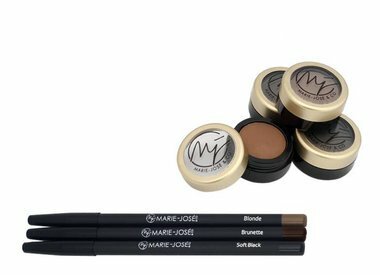 Create stunning looks with high quality cosmetic products by Marie-José & Co! 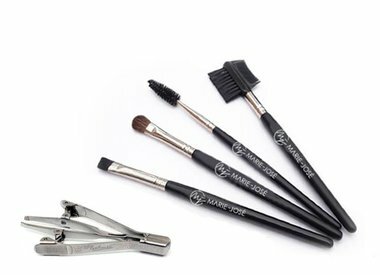 From eyebrow powder, brow pencils, eyebrow henna and brow brushes to eye make up and even complete make up kits! Try our new special, automatic tweezers! Henna Brows are hot! Not surprising, when you see the results that you can achieve with Henna Dye. 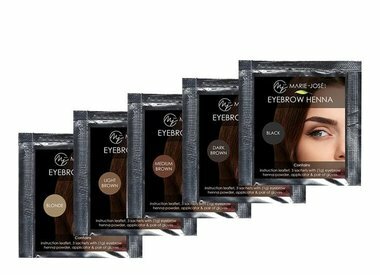 Beautiful, full eyebrows, because the henna stays on the skin for up to 2 weeks and on the eyebrow hairs for up to 6 weeks. Easy application, no need for expensive training courses! Henna Bows starter kit. 5 colors eyebrow henna and all necessary accessories in one handy set! Fuller and thicker eyebrows in 2 months!